Brand New GM Belt Set. 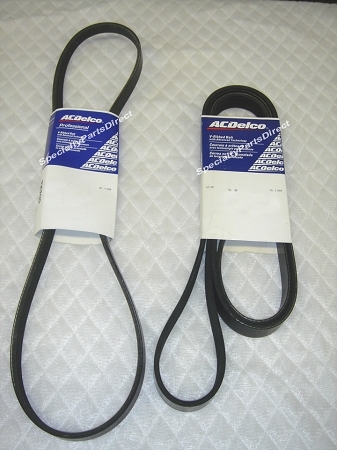 Includes Drive Belt and AC Belt. See my other listings for the Tensioners. If you hear a Squeek in the Engine Area, also check the AC Belt Tensioner, and Harmonic Balancer for a Wobble Movement. See my other products for the 1999-01.